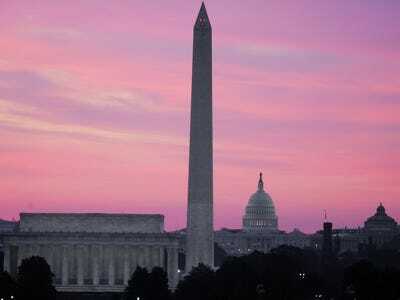 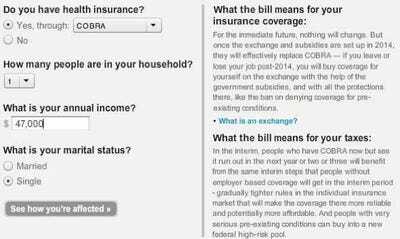 Want to see how the new healthcare reform bill will affect YOU personally? 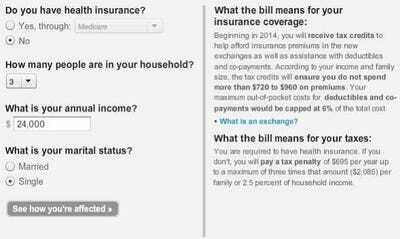 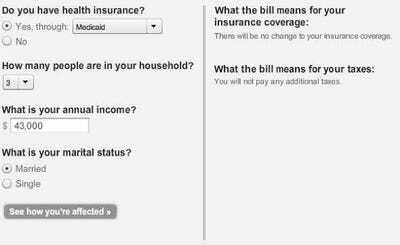 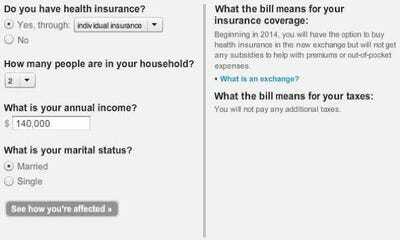 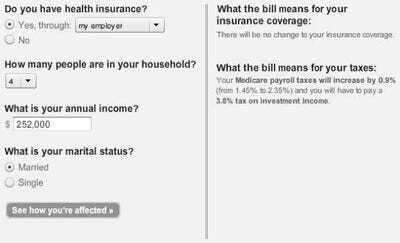 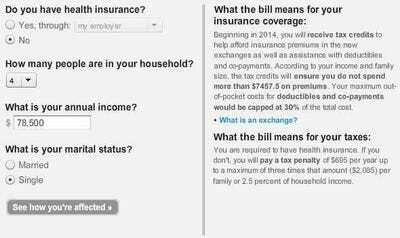 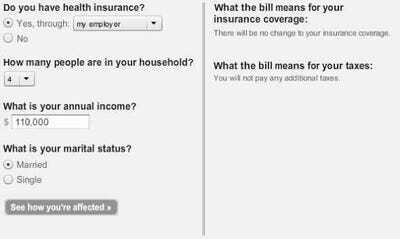 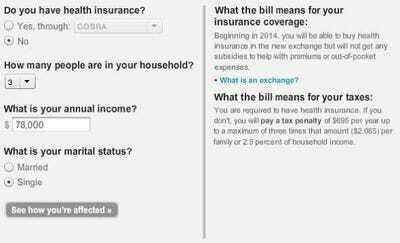 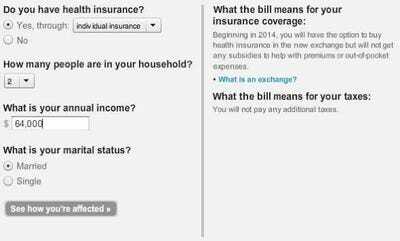 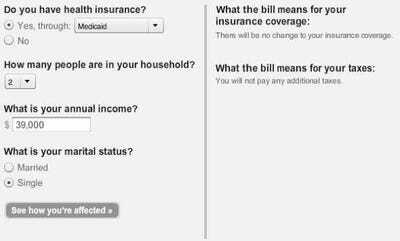 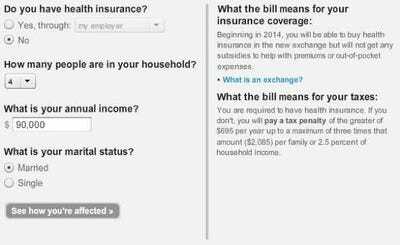 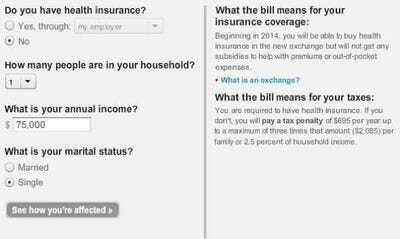 The Washington Post currently has a health care calculator up on its website, where you can plug in your personal information and it will tell you how the bill will affect you. 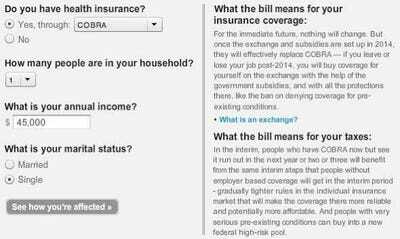 It’s pretty cool, and we recommend plugging in your data. 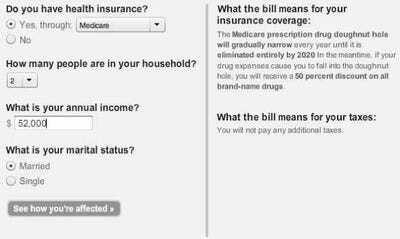 We ran through a few random scenarios, just to get a sense of how a cross-section of people will be affected.